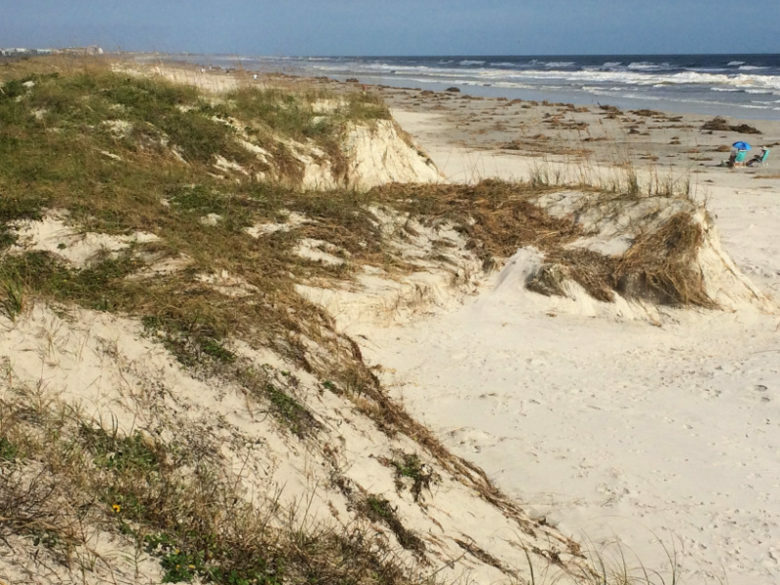 On October 30th from 8:30 a.m until 11:00 a.m., the Anonymous Society of Artists and other local painters will meet up at Mary Street Beach Ramp in Butler Beach to render the sand dunes and beach bungalows. 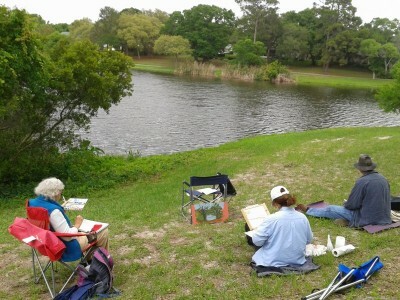 Just 8 miles south of Downtown St. Augustine near Frank Butler Park West, Mary Street Beach Ramp is a great spot for artists with ample parking very close to the beach. As always, our regularly participating artists and newcomers alike are welcome to draw and paint with us. 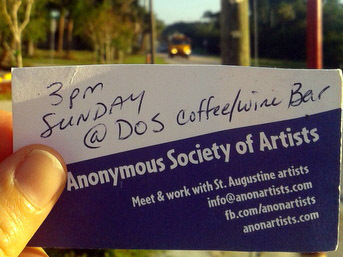 Join us for our next indoor drawing session on Sunday, June 1st, at 3pm inside DOS Coffee & Wine Bar on San Marco Avenue.